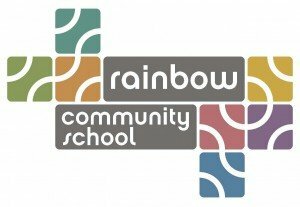 Rainbow Community School is a private, independent school serving 42 preschoolers and about 120 students from kindergarten through eighth grade in Asheville, North Carolina. For more than 35 years, we have been a national leader in alternative, holistic and contemplative education. The essay by Renee Owen, “Educating the Innovation Generation, Part IV, How Can School Create and Innovative Culture” discusses the school’s reasons for using sociocracy (Dynamic Governance). Family HEART Camp is a sociocratically governed summer camp for families with children of all ages. Camps are conducted in West Virginia, Wisconsin, Colorado, Ohio, and Hawaii. The Executive Director is Circle Sigma System founder Gregory Rouillard. HEART stands for Harmony, Ease, Authenticity, Respect, and Trust, important family values that Compassionate Communication supports us in living, both at camp and in the wider world. More on HEART Camp’s vision and values.